Obituary for Stephanie L. (Jastrzemski) Burey | Frank F. DeBor Funeral Home, Inc.
Of Brookline, on Thanksgiving Day, November 22, 2018. 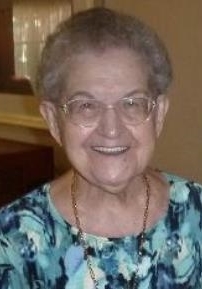 Wife of the late Frank; beloved mother of Christine Baumgarten (Wayne) and Fran Eastland; also three grandchildren and seven great-grandchildren. Visitation is private at the request of the family. Friends are invited to attend a Blessing Service on Wednesday, November 28, at 11 a.m., in the Chapel of the Mount Lebanon Cemetery. Memorial contributions may be made to the Alzheimer's Association, 1100 Liberty Avenue, Suite E-201, Pittsburgh, PA 15222.